Click the button below to add the Anti-Aging Renewal Serum to your wish list. With age, skin loses its moisture which acts as a cushion then fine lines and wrinkles begin. This provides hydration that helps fill in fine lines and wrinkles for a smooth even appearance. Give your skin a daily moisture boost for smooth, glowing skin. Nourish it with the goodness of 100% natural moisturizers. Leaves your skin smooth, plump and diminishes the look of lines. Helps create more radiant and smoother skin that you can see and feel. 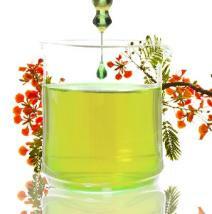 Nutritive anti-oxidants from Jojoba and Sea Buckthorn add to healthier looking skin. This has no water, silicone, alcohol or any other filler, only the purest vitamin rich nutritive ingredients are chosen to enhance the look and feel of your skin. Wow, what a difference in my skin in just a few weeks! This serum is Not greasy at all and I have definitely noticed an improvement with skin. I'm in my 50s and often hear I look like I'm in my 30s. THANK YOU Just Nutritive! It works to continuously renew the look of skin, helping smooth wrinkles and diminish the look of age spots, crow's feet, and brighten your skin's tone and complexion. Perfect for all skin types, it delivers visibly vibrant and flawless looking skin. Macadamia helps thin, fragile skin appear restored and firm with more elasticity. Olive Squalane and Hazelnut provide a smooth texture while minimizing the appearance of dark spots and discoloration for an even skin tone and a radiant glow. Love it, this feels so good to put on and my skin really absorbs it well. I noticed the difference in a couple weeks, wrinkles and fine lines were diminished. Great on my skin, not oily and leave my skin soft. I use on face and in the evening. It leaves my skin hydrated smooth and with plenty of moisture. I highly recommend. I've been using this anti-aging serum for about a month and I love it. This is absolutely amazing and really did the job. I feel it definitely helps in keeping my skin looking younger with my fine lines and wrinkles that I have were beginning to lessen. My skin feels soft and has a more fresher look to it. The serum can be used alone or under makeup. 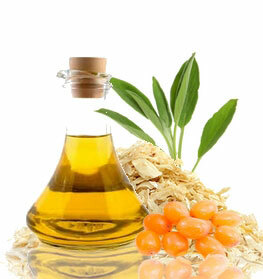 Jojoba Oil contains Vitamin E and B, which moisturizes skin, promotes skin health and fights infections. Macadamia Nut and Hazelnut oils are vitamin rich, long-lasting moisturizers. Orange Peel Oil diminishes the appearance of dark under-eye circles, discoloration and age spots. Use this nutritive anti-aging serum sparingly as needed on areas of the face or neck. • The serum can be used underneath makeup or a regular moisturizer. • Gently pat into the skin to prevent skin irritation. • For a great facial moisturizer, we suggest checking out our Anti-Aging Nutritive Facial Lotion. Macadamia Integrifolia (Macadamia Nut) Oil, Borago Officinalis (Borage Seed) Oil, Simmondsia Chinensis (Jojoba) Oil, Rosa Rubiginosa (Rosehip) Oil, Raphanus Sativus (Daikon Radish Seed) Extract, Squalane (Olive Squalane) Oil, Aleurites Moluccana (Kukui Nut) Oil, Corylus Avellana (Hazelnut) Oil, Hippophae Rhamnoides (Sea Buckthorn) Oil, Daucus Carota (Carrot Seed) Oil, Citrus Sinensis (Orange) Peel Oil, Pelargonium Graveolens (Geranium) Oil, Helichrysum Gymnocephalum (Helichrysum) Extract, Commiphora Myrrha (Myrrh) Oil, Lavandula Angustifolia (Lavender) Oil, Limnanthes Alba (Meadowfoam Seed) Oil, Tocopherol (Vitamin E). I've only been using the serum a couple of weeks and have already noticed that the wrinkles on my forehead and between my eyebrows have decreased substantially. Just use a little - it goes a long way. I'd definitely recommend this product! I use it nightly and I love it - my fine lines have disappeared. My skin stays moisturized. I am 66 yrs old and have great skin to begin with, but it's dry and I've noticed more lines under my eyes and on my upper cheeks. I've been using it a.m. and p.m. with my moisturizer for 2 weeks and the change is amazing! My skin is smoother, more hydrated, more even-toned, and the best part is the wrinkles under my eyes and upper cheeks are drastically reduced!!! I can't wait to see what continued use will do for my skin! Great stuff for mature skin; works faster and better than the high- priced products by Lancome and Estee Lauder, which I've been using for years. You won't be disappointed. I just got this facial serum is the mail yesterday...I applied last night and instantly my face felt and looked softer. This morning my face was glowing and radiant and my makeup went on so smooth!! I have oily/combo skin and it did not make my face greasy and it smelled like orange juice! I love this product!! I became addicted to this serum a few months ago. I have seen an improvement in the brightness and texture of my skin. I also feel much smoother and more hydrated throughout the day. This can be used sparingly as well. Like most serums, it's highly concentrated. This product has an amazing and unbeatable value. I have used a lot of products and none have given me the results like Just Nutritive products have. Love them! I have been using this for a couple years now. I use it before I moisturize. It absolutely nourishes my skin and softens the lines. I use it on my neck and chest as well since I have been a sun worshipper. Would definitely recommend! Love this product! It soaks right in and makes my skin soft for hours. I have only used for a week and already know it will be a part of my regime for now on. Best product I've ever purchased! Quenches dryness and gives an amazing glow. Absorbs into my skin effortlessly, always getting complements on how great my skin looks! I read all the reviews and they were all positive so I decided to give it a try. I have only been using the serum for about two weeks however I haven't noticed a difference. I am on my second bottle of this serum and I love it! Love the way it makes my face soft and the smell is wonderful!! I use essential oils for everything, including DIY serums, so for me to buy a product for my aging skin, it has to be good - and this one is! All the ingredients are natural and the added essential oils, such as geranium and myrrh are powerful wrinkle smoothers. A friend asked how my skin was so glowing and I referred her right to this serum! This serum makes my skin feel very soft. It has a great smell and it lasts a long time.